We installed a Classic Series Router at Day Nite Neon Signs in Brampton, Ontario as well as a 3000 Series Router at the company’s Dartmouth, Nova Scotia facility. Day Nite Signs designs, manufactures, and installs signs for customers all across Canada with facilities located in Brampton, Dartmouth, and St. John’s. Day Nite Signs offers a wide range of services for their customers including professional installations, sign maintenance, sign leasing, design services, and project consulting. Day Nite Signs has over 60 years of experience in the signage industry providing services to well-known companies such as Royal Bank, CIBC, and Tim Horton’s in that time. Day Nite Signs have grown from a three-person operation in 1948 to one of the leaders in the sign industry today. 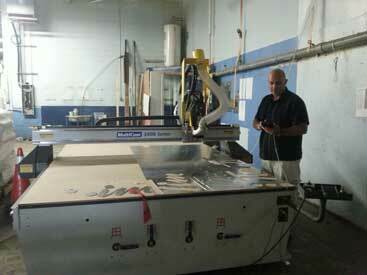 The machine installed at the company’s Brampton facility, a MultiCam Classic Series Router, is a rigid, reliable CNC cutting machine with excellent performance at an entry-level price. The Classic Series Router is the perfect solution for manufacturers requiring value, performance, and price in a CNC router. 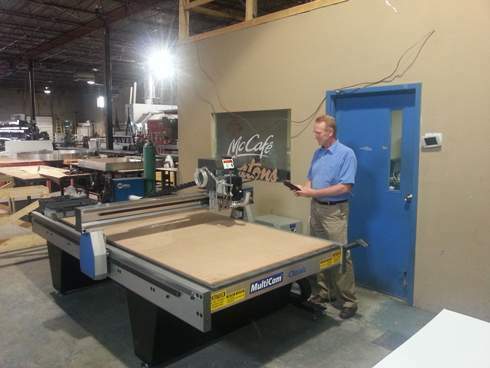 The MultiCam 3000 Series Router, which was installed in Dartmouth, Nova Scotia, is designed for a wide range of panel processing applications making it the perfect balance for shops looking for both value and high performance in their CNC router. Day Nite Signs plans to use their new CNC router for channel letting though they provide many different services for their customers including multi-purpose vinyl decals, promotional products and as of 2004, bus transit advertising. These machines will allow Day Nite Signs to cut channel letters more accurately and with faster turnaround time’s for their customers.